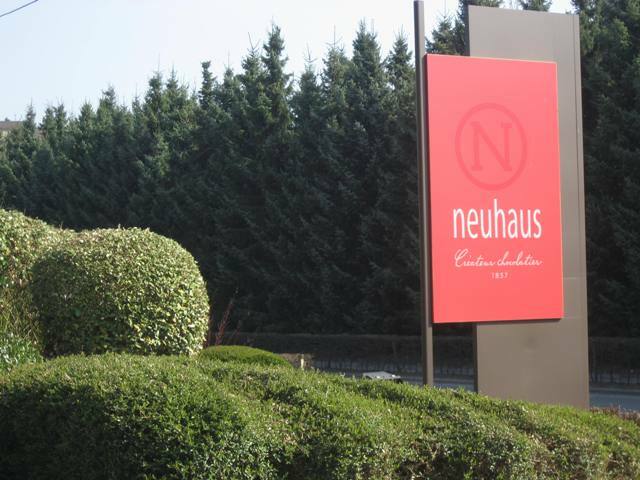 One of the places I meant to write about back in January, that I never really got to was the Neuhaus Factory Outlet in Brussels. I ran down there before my flight back to the U.S., because I desperately needed an authentic Belgian Christmas gift for family. The quick and dirty version of this place is you can a) go eat as many Neuhaus chocolates as you can shovel in your mouth for free, and b) buy whole one kilogram boxes for the price of 25 euros (or 3 for 50). 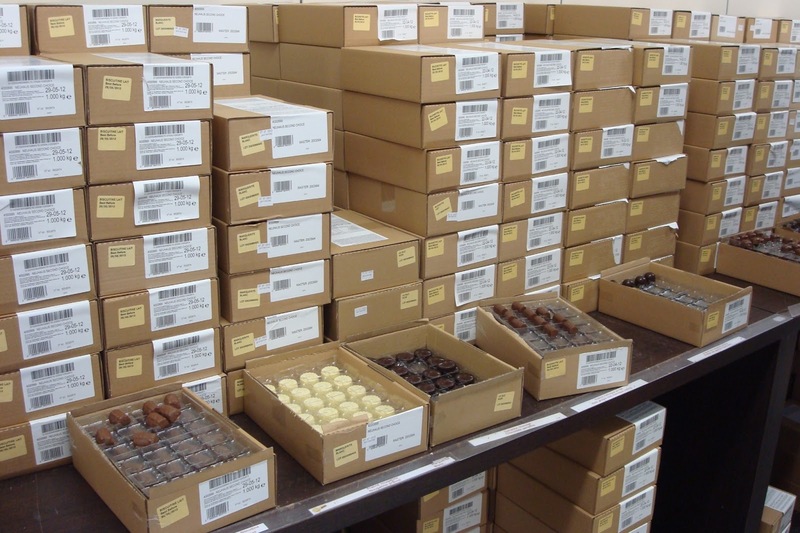 It's not cheap, but considering one (piece of) chocolate at their downtown locations could cost 7-10 Euros, and a box might contain 50-100 morcels (or more) , you can see why people flock down to outlet for some bulk purchasing discount fun (especially around the holidays). Of course most tourists don't even know this place exists. I happened to stumble upon a New York Times article on the place about a year ago, and then subsequently ended up in living in Anderlecht, where my host-family knew exactly what I was talking about. Those open boxes? Those are samples. Free samples. That's right. You will find a lot of Belgians in there especially around the holidays, and former residents who come in to town during this time. You do have to re-wrap in your own cellophane but handing out retail cost, fifty Euro, chocolate gift-bags tends to put smiles on people faces. Many of them will never know you didn't buy them at the fancy boutique at Grand Place from white gloved anorexic high-school girls. So how do you get there? Get on the 5 line and take it to its terminus (Erasamus), walk out of the station and continue to walk in the direction that the metro was going (away from Brussels), till you hit a traffic circle.Turn left onto Avenue Joseph Wybran (Postweg 2) and walk (or drive) till you see the big red Neuhaus sign on the right (just past the city limit sign). It's a big great gray monolith of a building up on the hill. (You can also choose to short-cut through the ULB medical parking from the Metro too.) It's really only about a five minute walk from Erasamus, but be prepared for rogue, ninja, women pensioners ready to pinch your cheeks and confront you and your chocolate covered, swollen face as you're carrying a sack of bon bons home. 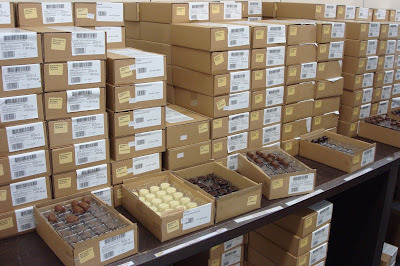 I had one pop out from behind a tree and say "ah somebody found the chocolate store!" I hung my head down and mumbled "Oui madam, je suis grosse." This is what I refer to as the walk of shame. Belgian chocolate is why my jeans don't fit anymore-:). It's about a 10 minute walk I'd say if you go straight there.